Kashmir is one of the most idyllic settings in the world. A picturesque valley located between Pakistan, India, Afghanistan, China and with a small strip of 27 miles with Tajikistan and Kyrgyzstan. Kashmir is a natural paradise. In response to the peaceful and massive demonstrations, much inhumanity, continuous violations of basic rights, frequent massacres, constant fear, hunger and misery – these are the gifts of Indian occupation to the people of Kashmir. 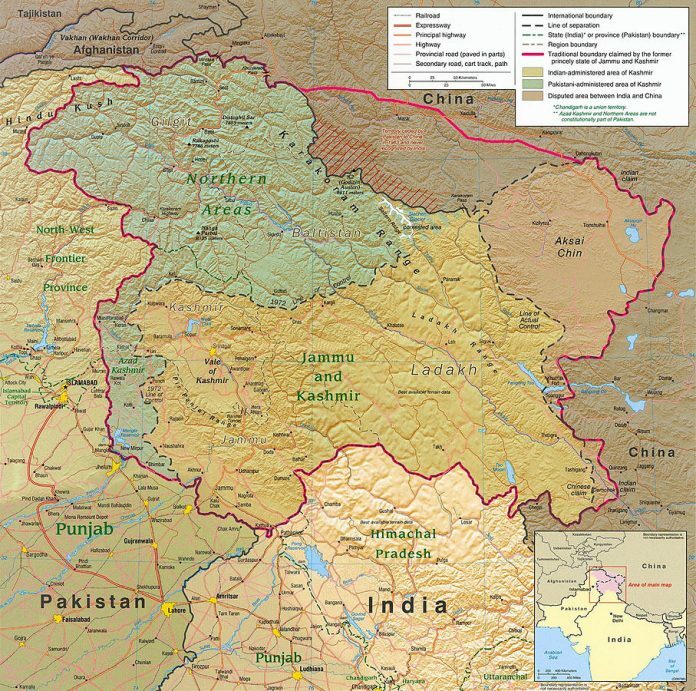 For the populous South Asian subcontinent, the Kashmir situation entails the recurrent possibility of disaster and nuclear war. There is a way to bring these atrocities to an end. The way is that the Secretary-General of the United Nations uses its moral and legal authority to reinvoke peaceful dialogue between the Governments of India & Pakistan along with the legitimate representatives of the people of Kashmir for the final settlement of the dispute. The Charter of the United Nations empowers the Secretary-General of the United Nations to bring any matter which may threaten the maintenance of internal peace and security to the attention of the Security Council. In consistent with the universally accepted principle that no situation should be allowed to escalate to a point of no return and that the United Nations should not remain passive in the face of human wrongs being committed on a vast scale, the people of Kashmir expect the Secretary-General will not hesitate to exercise his discretion and put the Kashmir issue on the active international agenda. Should the Secretary-General feel that the factual data at his disposal does not justify the use of his power under Article 99 of the UN Charter, we respectfully propose that the Secretary-General urgently dispatch a special representative of high international standing to India and Pakistan who should visit both parts of Kashmir and report back to the Security Council the facts of the situation. In fact, ‘United Nations High Commissioner on Human Rights’ has also recommended sending a fact-finding mission to Kashmir to assess the situation there. If India feels that it has nothing to hide, it should welcome such action. We feel confident that the Secretary-General of the United Nations will not encourage any party to an international dispute which has been taken cognizance of by the United Nations to circumvent and rebuff the world organization. It should be one thing for the United Nations to remain inactive if an alternative and credible peace process were in motion. It is another when not even the beginning of an effort towards arriving at a settlement bilaterally between the parties or through mediation by friendly governments is visible. To put it plainly, the present situation is that the United Nations is allowing its resolutions to be dishonored and the people of Kashmir to be condemned to systematic destruction. The people of Kashmir deserve better.